SonoSim International proudly announced EMAC S.r.l. 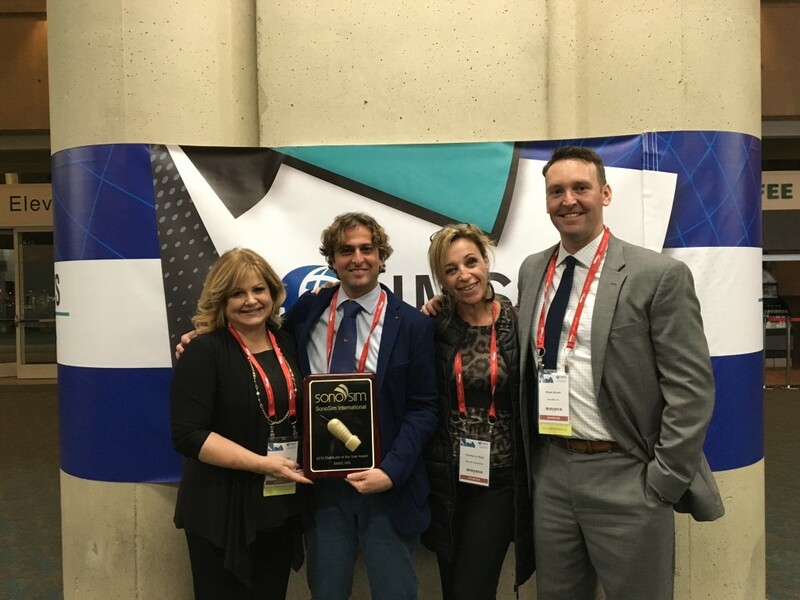 of Italy as the 2015 SonoSim International Distributor of the Year at the 2016 International Medical Simulation in Healthcare (IMSH) conference in San Diego, California. The annual award is presented to the company that best exemplifies SonoSim International’s mission to meet the global demand for SonoSim products and services needed by healthcare professionals in their respective region. “Congratulations to the entire EMAC S.r.l. team for their tremendous success and dedication in saving lives, reducing healthcare costs, and improving patient outcomes in Italy,” stated Laura Bursack, General Manager of SonoSim.